Without question, genetics play a significant role in the people we ultimately grow to be. Things such as facial contour, height, and hair color are all determined in large part by our hereditary makeup. 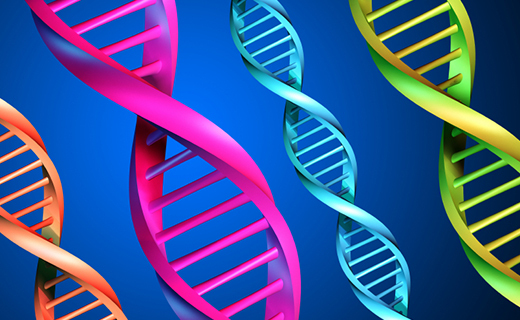 Many have wondered whether the condition of our teeth is also shaped by genetic factors. Though scientists have not yet reached consensus on this question, inquiries on the part of dentists and patients alike persist. The definition of bad teeth is rather broad, depending on whom you ask. Teeth may be considered by some to be bad if they are poorly aligned, misshapen, sensitive, or discolored. Missing or lost teeth can be the result of genetic factors or mutations. Genetic mutations that have combined with environmental factors such as viruses or the use of medications can also result in malformed or even missing teeth. While genes do play a role in cases of malformed teeth, when it comes to stained teeth, environmental influences are much more likely to be the cause. Smoking, poor diet, drug use, and a failure to follow proper dental care protocols can all lead to discoloration of the teeth. Therefore, by heeding some key advice about how to take good care of your teeth and gums, you have the ability to control a great deal in terms of the overall health of your mouth. It is important to brush and floss the teeth no less than twice a day, and routine visits to affordable dentists in Philadelphia are indispensable. The use of fluoride rinses and toothpaste products are also helpful to maintaining strong teeth and gums. A nutrient-rich diet that contains only limited amounts of processed sugars can go a long way toward preventing excessive buildup of bacteria and plaque that lead to decay. Avoiding tobacco products and drugs will help minimize tartar deposits onto tooth enamel, keeping teeth as white as possible. Dentists agree that while genetic factors can create an environment in which tooth problems can take root, a proper dental care routine will go a long way in maintaining the healthy teeth you desire. The Dr. In charge of removing the tooth was amazing. Once I was in the chair it was in and out. No pain during or after. 2 days post op and nothing more than a little irritation.